Dutch Oven Cooking – Camp Meals will Never be the Same! Camp Meals will Never be the Same! Join Bayou City Outdoors, HTX Outdoors & Whole Earth Provision Co. for Houston Outdoor LIVE - in person. Or, check us out via Facebook Live. Both events run simultaneously and you can join the Q&A online or in person. Each week, we take a topic and drill it down as quick & deep as possible to get you up to speed and out playing in the great outdoors. We’ll take Q&A after the presentation to help guide everyone into outdoors mastery. Forget about hot dogs on a stick and beans in a can and start thinking Pot Roast, Pizza and Enchiladas! Instead of oatmeal or cold PB&J, you can fry up some bacon, potatoes & eggs… or even bake some biscuits and gravy. And for dessert… Dutch Oven Brownies are the best and our signature tasty on a camping trip. 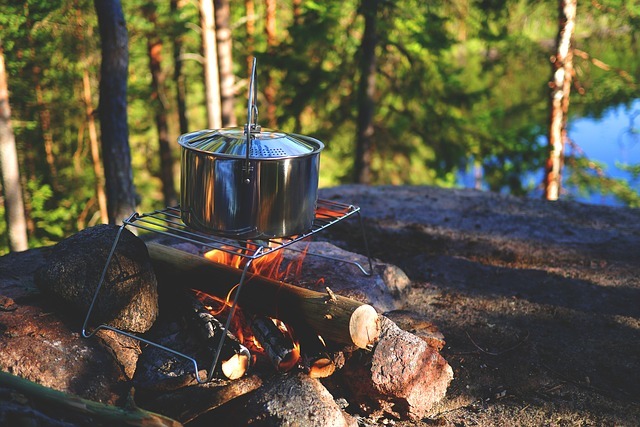 You'll also be able to download the free #10Essentials for Dutch Oven Cooking that evening – we promise you’ll be the toast of the campsite! Everything you need to know, buy, skip, learn and do in a single, awesome Tip Sheet.